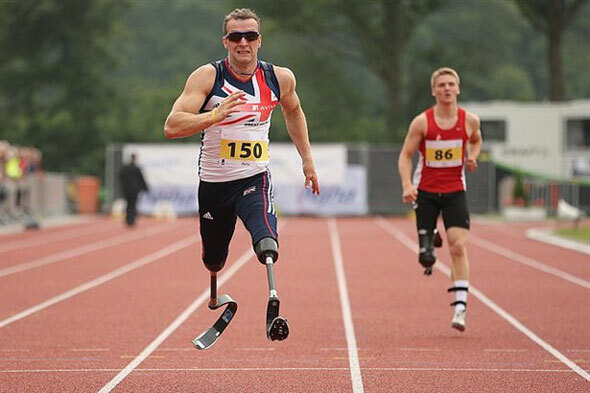 T42 200m World Record holder Richard Whitehead (coach: Liz Yelling/Keith Antoine) smashed his global best by over half a second with an impressive time of 24.93 (+1.9m/s) to win gold on the penultimate day of the IPC Athletics European Championships in Stadskanaal, Holland (24-28 June). 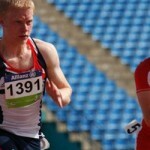 The World Champion got off to a great start and didn’t look back: “I’d say that was an eight out of ten today,” he said after erasing his previous best mark set at the London 2012 Paralympic Games test event in May. “Obviously this past winter has been tough and I’ve been putting in a lot of hard sessions with my coaches Liz Yelling and Keith Antoine, but today was about looking at where I’m at in the training cycle. “I broke the World Record in London and that was the start of the cycle. This is the middle of the cycle and the Paralympic Games in September is the end; I know I’ve still got a few gears to move up so it’s all really positive, especially working with such a dynamic coaching team who have helped me play to my strengths. En route to another substantial Aviva Great Britain and Northern Ireland team medal haul, Tracey Hinton (Darrell Maynard) and Libby Clegg (Keith Antoine) raced to their second Championship titles with brilliant gold medals in the T11 and T12 200m respectively. Clegg’s time of 25.47 was her quickest ever, but the illegal +2.2m/s wind took a slight gloss of an otherwise exceptional performance to follow that of her training partner Whitehead. “We executed that from gun to tape,” said the IPC World Championships bronze medallist. “I knew the Slovakian had a rapid bend, so I knew I’d have to execute my own race properly to take her and we came off the bend in the lead which was important. Hinton had run a quick qualifying time in yesterday’s heat but admitted that she hadn’t been happy with her bend; she was more positive after today’s 27.31 (+2.2m/s) performance: “That (the bend) was a lot better and it enabled me to come off into the straight a lot stronger,” she said following her victory. In the men’s T36 200m, Graeme Ballard (Steve Thomas) took silver (25.19/+1.7m/s) and Ben Rushgrove (Rob Ellchuk) took bronze (25.25) behind Ukraine’s multi-medallist Roman Pavlyk (24.98), while off the track, Bev Jones (John Parkin) won her second silver medal with a runners-up spot in the F37 discus. The winner, Oxana Corso of Italy, recorded a new European Record of 16.07. In addition to Rushgrove’s bronze, there were also third place finishes for Kyron Duke (Anthony Hughes), Olivia Breen (Leroy Elliot) and Katrina Hart (Rob Ellchuk). Germany’s Mathias Mester, coached by former IAAF World javelin Champion Steffi Nerius, won the event with a best effort of 37.38m. Breen, who has gained valuable event experience on her Aviva GB & NI debut this week, made it onto the podium in the T38 100m clocking a brilliant new lifetime best of 14.10 (+1.5m/s), while Hart matched her IPC World Championships placing with third in the women’s T37 100m in 14.32 (+1.8m/s). 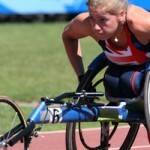 Jenny McLoughlin (Darrell Maynard), following her T37 200m silver, was fifth in the T37 100m in 14.67m, just outside her personal best. In the men’s F42 javelin, which was won by Norway’s Runar Steinstad with a world leading distance of 47.94m, Scott Moorhouse (Dan Pfaff) was also disappointed after being pushed out of the medals into fourth in the final round of the competition. The London-based athlete opened with 42.67m and threw his best effort in round four (44.06m) to move up into third, but he missed out on the podium after Bulgaria’s Dechko Ovcharov, the recently crowned European Champion in the discus, launched a medal winning throw of 45.71m to clinch a last gasp bronze. In the only qualifying race of the day, yesterday’s T36 800m bronze medallist Paul Blake (Rob Ellchuk) continued his packed competition programme with victory in his 400m heat in 56.43.